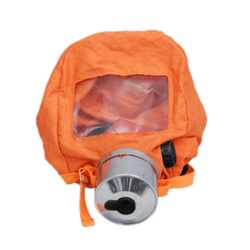 Leading Exporter of industrial first aid kit, thadhani first aid kit, emergency blanket, silicone resuscitator complete adult set, cpr pocket mask and escape smoke hood from Pune. First Aid Kits – “Medic 5000 IN” for up to 50 EmployeesThadhani make ABS Shock Resistant High Visibility First Aid Kit with Air/Water Resistant NeopreneLining & Wall Mounting Bracket, model “Medic 5000 IN” with CE Approved Contents confirming toIndian Factories Act. The Complete Kit confirms to ANSI Class III Norms. Thadhani make ABS Shock Resistant High Visibility First Aid Kit with Air/Water Resistant NeopreneLining & Wall Mounting Bracket, model “Medic 2500 IN” with CE Approved Contents confirming toIndian Factories Act. The Complete Kit confirms to ANSI Class III Norms. 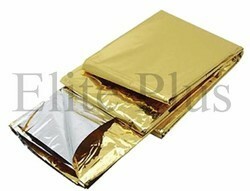 It characterized by its being small-sized, light-weighted, heat preservation and easy-carried. It mainly used for mountain climbing, fire fighting, rescue and military in the world. Elite Plus are manufacturer, supplier and Exporter of Silicone Resuscitator Complete Adult Set. Aiming at optimum degree of customer-satisfaction, we are involved in importing, supplying and exporting a commendable range of Laerdal CPR Pocket Masks . It offers a secure seal in case the one-way valve as well as the filter protects rescuers. Its clear dome permits the verification of patient lip color as well as the secretions. By our vendors, it is designed to fit child, adult as well as the infant. They manufactured this product with plastics and other raw material in order to give easy cleaning and long lasting performance.